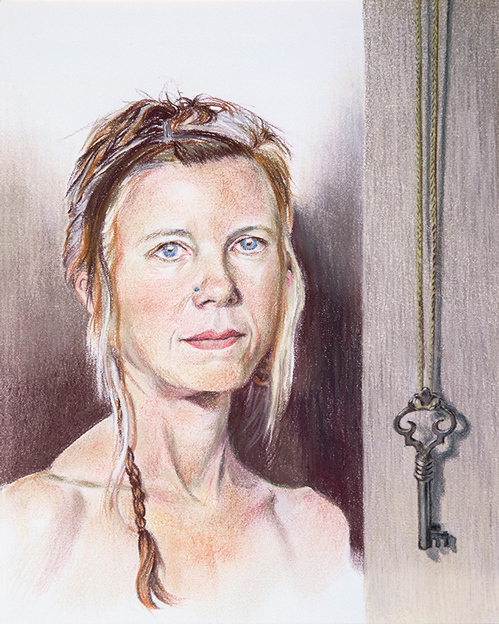 Ann DiSalvo works in pastel, charcoal, colored pencil, acrylic and mixed media, fluent in figures and landscapes. Available for commissions, illustrations and portraits; drawing classes and tutoring. She continues to explore new techniques to express ideas. Her work has been exhibited in numerous group and solo shows and is in collections throughout the country. Studio A.B is open for public viewing most days. Try your luck or call ahead for an appointment.